04/04/2019, 21:52 OFFER REACTIVE - ARAMIS! The Aramis men's clothing store was paused at the advertiser's request. When we return, we will let you know! 19/11/2018, 19:14 New promo in Aramis! Black Friday Aramis - incredible promos! 19/07/2018, 22:35 New promos and banners in Aramis! New promos and banners in Aramis! Father's Day Aramis! In purchases over R$800,00, earn a sports bag! 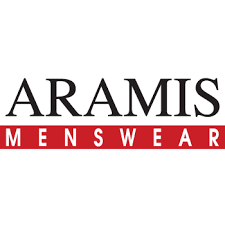 Aramis is the second largest menswear retailer in Brazil. Present in all Brazilian states, with 80 stores, among its own and franchises, being five outlets, online store and presence in the main multibrands of the country. In 2014, he won a contribution from Bradesco's 2B Capital, the same year that the brand's current CEO, Richard Stad, took the lead at the time, only 29 years old. Campaign commission: 5.25% per confirmed purchase.